The Boreal Space team has contributed to the most imaginative and technical space missions of all time from the Hubble Space Telescope to the Planetary Society's LightSail. We help you realize your business goals, research efforts or whatever way space invokes your passions. 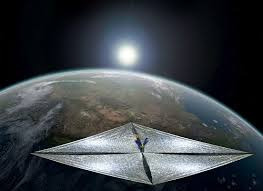 Boreal Space provides Systems Engineering, Flight Software development and Attitude Control Subsystem/Dynamics support for the Planetary Society LightSail Missions. Boreal Space provides the small, low cost Wayfinder spacecraft for payload testing, from product advertising to a communications infrastructure prototype to help connect the Internet of Things. Find out about our organization, mission, experience, skills, past and current projects. Ready to take the next step? We'd love to hear from you.